Texas is expected to increase the number of public school students receiving special education services, and disability rights advocates are aiming to improve the overall quality of those services. With increased federal attention on the low percentage of Texas students receiving special education services, the state is poised to ensure the number of students receiving such services will increase over the next year. And disability rights advocates are hoping to go even further, aiming to improve the overall quality of those services. Those advocates want school officials to reduce the rates at which black students are labeled as learning disabled — experts say that student group has been overrepresented for decades in special ed. They also want to increase the rate of English-language learners, whom educators can often mistake for having language challenges rather than disabilities. Four legislators have filed bills to prohibit the state from capping special education services at 8.5 percent of students. The Texas Education Agency has repeatedly denied allegations, first raised in a Houston Chronicle article, that it deliberately capped services. It has also said that it would no longer collect information on overall percentages of students receiving special education services in each district. The education agency will continue to collect districts' special education rates for certain racial and ethnic groups and will monitor the percentage of students receiving services for each type of disability. TEA spokeswoman Lauren Callahan said that the number of students identified for special education services will probably increase — because that count has been increasing in Texas over the past few years, though the percentage has remained low. "We would anticipate this trend will continue," she said. Rachel Gandy, mental health policy fellow at Disability Rights Texas, said that Texas is providing special education services to a smaller percentage of students than most other states — and is also targeting disproportionately high rates of black students for those services. English-language learners are increasingly underrepresented for those services, she added. The TEA is required by the federal government to monitor districts for disproportionate representation of certain groups in special education. “The hope is that the kids who need the services will get the services. We don’t want it to mean that kids are funneled into services" they don't need, Gandy said. She wants the Legislature to ensure students who have been denied special education services in the past get the support they need. In the 1990s, educators were worried about too many students being identified as learning disabled, said Rod Paige, former Houston ISD superintendent and U.S. secretary of education under President George W. Bush. "This means we were mixing up students who had legitimate physical or emotional needs with students who had learning needs and instructional needs because of what I felt to be, in many cases, inadequate reading instruction," he said. As Houston ISD superintendent in 1994, he realized the need for better diagnoses of students, in order to properly educate them. In response to this concern across the country, federal law since 2004 has allowed districts to use a process called “Response to Intervention,” or RtI, to provide targeted reading and math instruction to help struggling students catch up. Educators can then use the information from those screenings to determine whether students have undiagnosed learning disabilities or whether they need other types of support. TEA officials say RtI is one of the reasons special education rates have dropped in Texas, because fewer students are being incorrectly identified as learning disabled. But some families have complained Texas educators have used the RtI screening process to delay evaluating students for special education, in violation of federal law. Many teachers are not using research-based techniques when screening students, said Pam Bell, program manager at the Meadows Center for Preventing Educational Risk, which contracts with the state to train Texas educators on RtI. "The biggest focus needs to be that all classroom teachers know how to teach effectively," she said. "A lot of teachers and interventionists still need help in learning, 'What do you do with these kids?'" She said Meadows Center consultants tell school administrators that the law prohibits using RtI to delay special education identification. "If you've been documenting a child's response to intervention and the child is not making the progress expected from intervention, you need to consider the possibility of a disability and begin the testing process." State Rep. Harold Dutton, D-Houston, said he worries Texas schools could overidentify even more students for special education if school districts focus on increasing their special ed student rates. As a legislator in the 90s, he heard from parents of black and Hispanic students who had been labeled learning disabled just because they were grade levels behind in a few subjects. “The fact remains that a student would go into special education. It was like a cesspool. You came out of it and didn’t get any better,” he said. Dutton said legislators should also assess the quality of the services provided for students with disabilities, to make meaningful change. “We have to clear up this whole thing, otherwise it will just keep going in a revolving door that goes around and around, without someone sitting down and saying, ‘Wait a minute. None of this makes sense until we do something about the quality,'" he said. Improving the quality of special education means training teachers and administrators to educate students with disabilities in general education classrooms, said Christine Broughal, an Austin-based special education attorney at Enabled Advocacy. 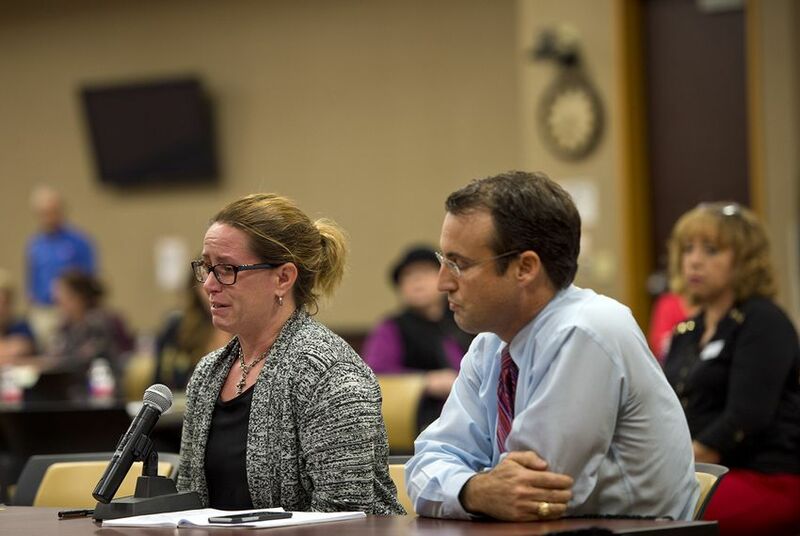 “What we have to deal with now is the fact that there is most likely going to be an influx of special-needs children, and how are we going to meet their needs?” Broughal said. Districts will receive more federal funding when they identify more students for special education services – but that funding won’t actually get to Texas schools for at least another year, she said. She is working with legislators on a bill that would require teacher preparation programs to include special education techniques as well as general education. In Texas, she said, most students with disabilities spend the majority of their days in general education classrooms. “They’re receiving all of their content and instruction from general ed teachers who have no training in how to teach them,” she said. Broughal said bills to stop TEA from collecting data on overall special ed enrollment are symbolic because the TEA has already promised to do so. State Sen. José Rodríguez, D-El Paso, who filed one of those bills, said the Legislature should figure out how to "ensure every single special education student in this state gets the special education program that they deserve." His bill, Senate Bill 160, also says districts should continue to monitor the percentages of specific racial or ethnic groups receiving special education services, to ensure they are not overrepresented or underrepresented. In the Rio Grande Valley, one of the poorest regions in the state, advocates are looking for legislators to hold school districts responsible when they have neglected students with disabilities. "Our area is one of the most neglected areas by the state. There's not a lot of allocation of resources," said Evelyn Cano, parent advocate at Aware RGV in McAllen. Spanish-speaking students in the Valley have generally been underidentified for special education services. Educators are "stuck on the fact that they want them to learn the language or go through a submersion of the language that they're missing the boat on the fact that they may also have a learning disability," Cano said. Parents need schools to provide professional translators in conversations about whether their children should receive services, she said. She agreed that the state should provide more resources for training teachers, administrators and parents on how to comply with federal regulations on special education. Rio Grande Valley parents and educators told federal and state officials Tuesday that school districts lacked knowledge and resources to get students special education services that comply with federal law.